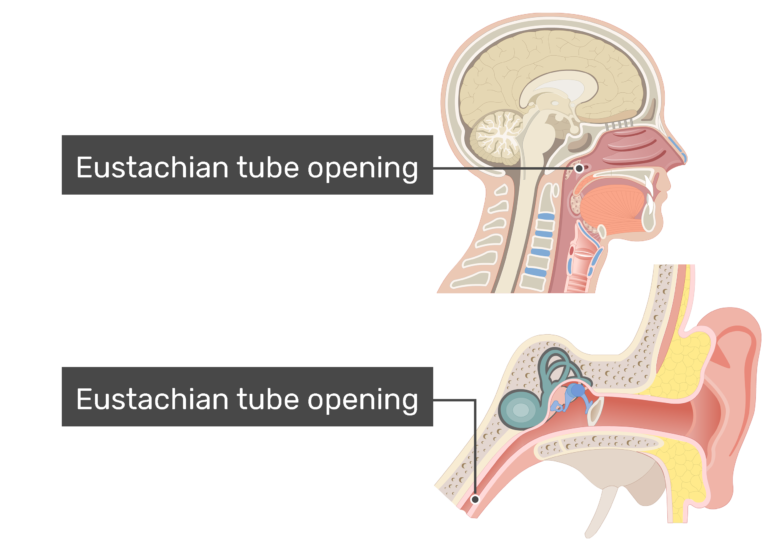 Along the lateral walls of the nasopharynx are the openings to the Eustachian tubes (auditory or pharyngotympanic tubes). 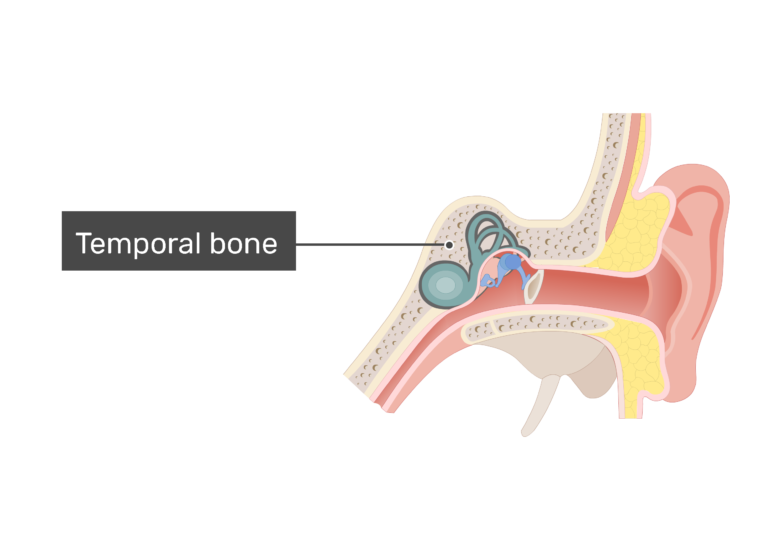 Each narrow tube connects the nasopharynx with the middle ear (highlighted in green) structures found inside the air-filled tympanic cavity of the temporal bone. 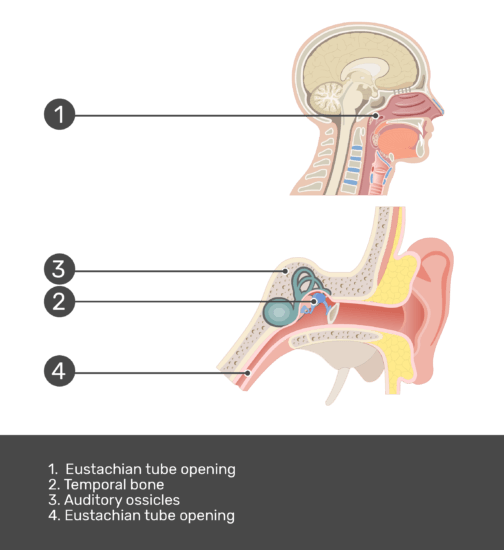 You can open your auditory tubes by moving your mouth and neck muscles, such as yawning. 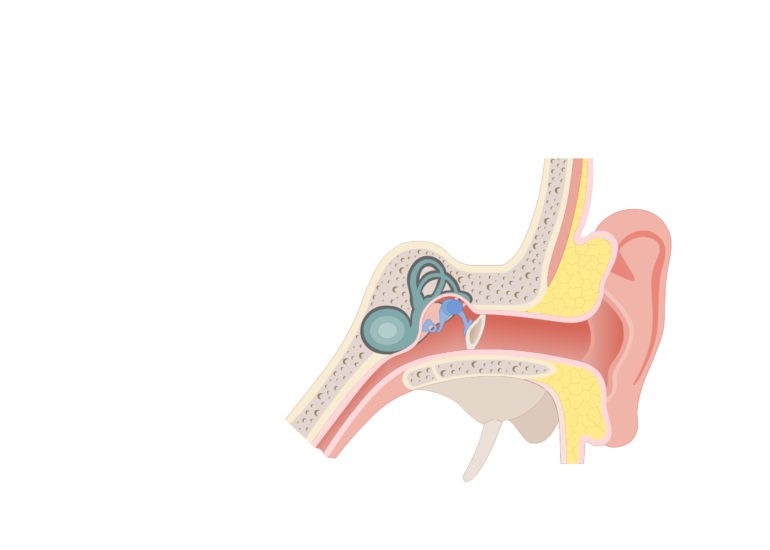 When this occurs, air can flow between the middle ear and the nasopharynx. This process equalizing the pressure on both sides of the eardrum (or tympanic membrane), making it easier for the eardrum to vibrate in response to sound waves. 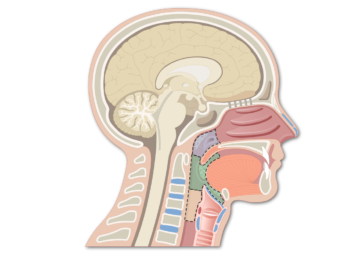 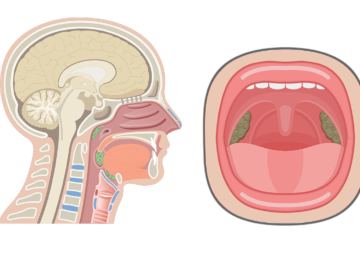 The openings to the pharynx from the nose and mouth are protected by a ring of tonsils and other types of lymphoid tissue (Waldeyer’s ring). 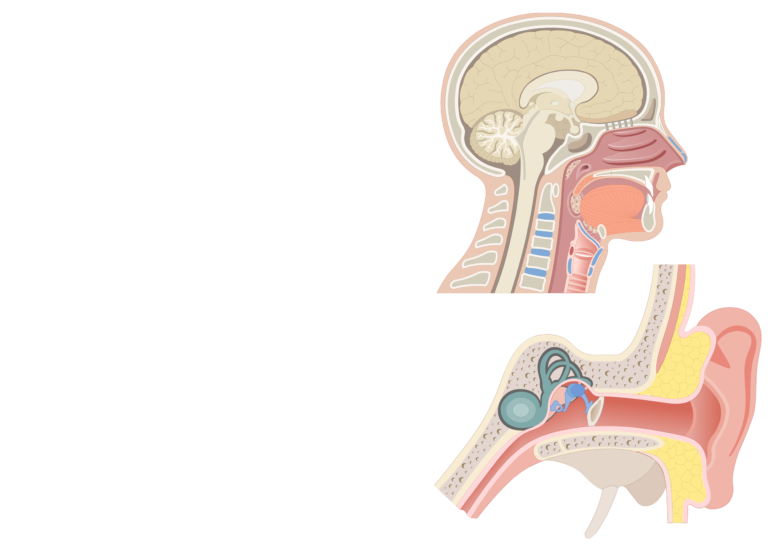 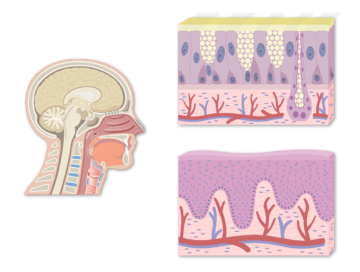 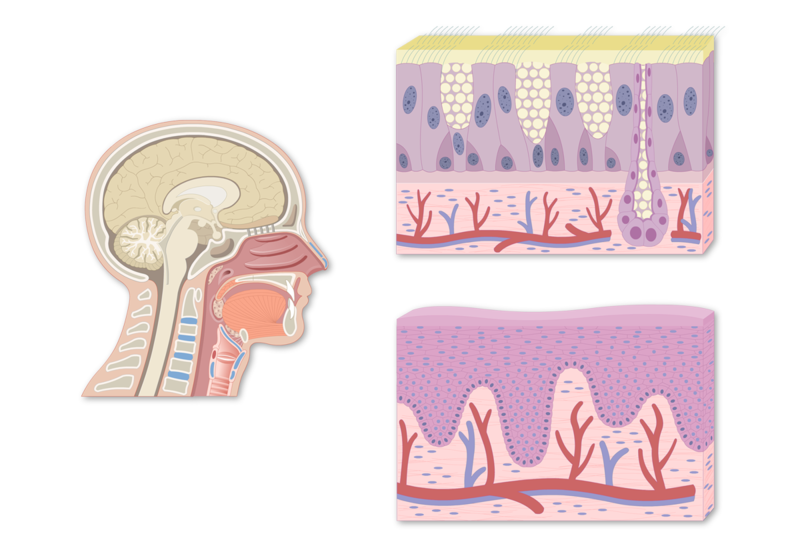 An interactive demonstration of the Epithelial Lining of the Pharynx (nasopharynx, oropharynx & laryngopharynx) featuring the iconic GBS illustrations. The pharynx is a four to five-inch fibromuscular tube that conducts air from the nasal cavity to the larynx. It is divided into three anatomical regions.